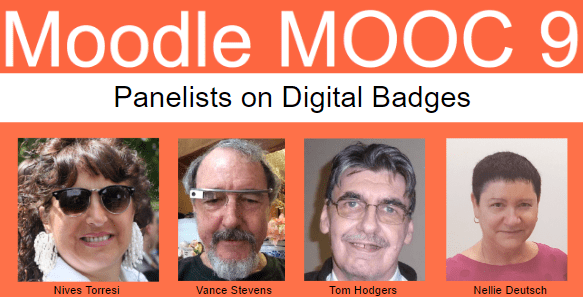 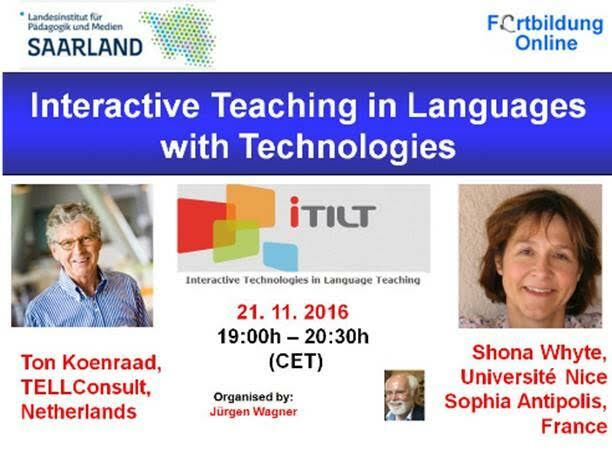 On Monday, Nov 28, at 1400 UTC, Nellie Deutsch, Nives Torresi, Tom Hodgers, and Vance Stevens gathered at Moodle MOOC 9 to form a panel on Badges: Choices and Options to discuss how they use digital badges. 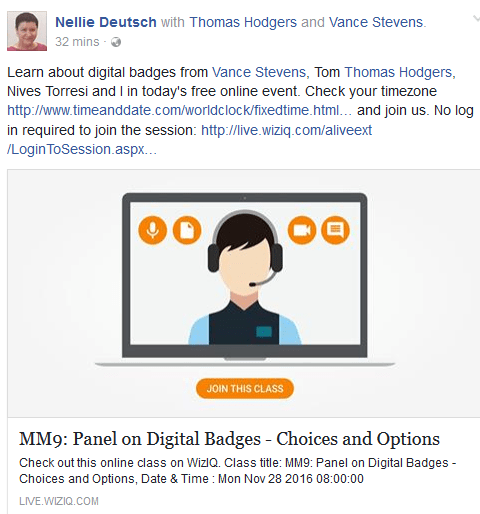 This panel is conceived as a discussion on options for creating badges, what the criteria should be, and how they should be displayed in order to convey credibility and merit. 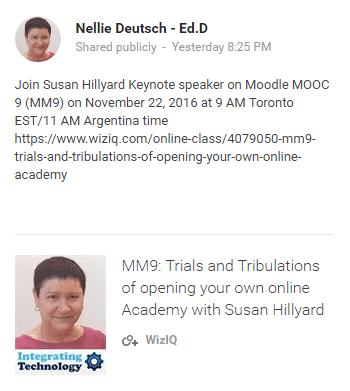 Here you can find the link to the WiZiQ recording, its YouTube and mp3 renditions, and slide presentation covering the badge creation and implementation tools Online Badge Maker, Open Badge Factory, Open Badge Passport, CanCred Passport, Salava, Mozilla Open Badges, Mozilla Backpack, Credly, creating badges in Moodle using Make Waves and Canva, and how badges are implemented in #evosession #evomc17 Minecraft MOOC.